Have you ever seen opening credits that made the hair stand up on your arms? Or a movie trailer that had your heart thumping loudly in your ears? The high-impact visuals of After Effects templates can add incredible intensity to any project—and will take your audience’s breath away. Versatile and colorful, abstract After Effects templates have their perks. Creatives working in the the sci-fi, thriller, drama, or documentary genres already know that abstract templates are key, but the uses for them go far beyond dramatic films. Bold, attention-grabbing templates are the go-to for event marketing. AE templates make it easy to create short promotional videos that go over well on social media and generate buzz around important events. But events aren’t the only thing you can promote—what about yourself? Self-promotion is one of the trickier parts of any professional’s career, but customizable templates can make the process easier. Create a quick promotional video for your personal brand that will attract clients and get your work out into the world. Nowadays it’s best to have your creative content in as many formats as possible, so a promotional video is a great way to round out your portfolio. Showcase your full creative potential with abstract AE templates. To get started, check out our top 20 abstract and artistic After Effects templates and prepare to bring your audience to its knees. Download this vivid logo reveal template. Download this geometric logo template. Download this game intro template. 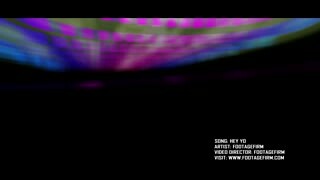 Download this abstract music video template. Download this wormhole logo template. Download this manic organics template. Download this event listing template. Download this elegant explosion template. Download this blast logo zoom template. Download this splotches promo template. Download this particle ribbon logo template. Download this dramatic trailer template. Download this adventure promo template. Download this TV thriller promo template. Download this linear credits template. Download this abstract logo reveal template. Download this abstract plexus logo reveal template. Download this scribbly icon template.